The English term “free immersion" is quickly explained. This is a line where free divers can independently pull themselves up and down. This way, you do not have to resort to your fins and save valuable energy. 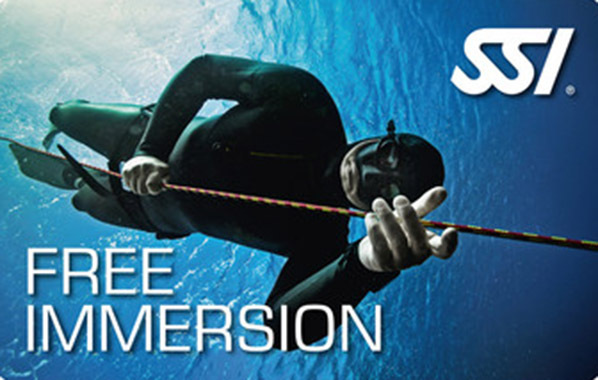 In addition, free Immersion facilitates the pressure compensation. As part of the course “Free Immersion (FIM)" you will learn how to use this technique correctly and safely. Prerequisites for the completion of the course: a minimum age of 12 years as well as the certificate “Freediving Pool".